SPI Flooring & Blinds are your local Fleurieu carpet specialists with a huge range of floor coverings in store and we pride ourselves on our expert advice and after sales service. We also supply & install BLINDS, VINYLS & TIMBER FLOORS plus we have ROLL ENDS and also provide an OVERLOCKING SERVICE. Our homes are our havens, a place where we can relax and enjoy time with family and friends. We know the way your home looks and feels is important to you, which is why it’s important to us. Carpet Court offers not only the most extensive range of flooring solutions perfect for every home or office, we also know flooring inside and out. So we can offer you expert advice and assistance on choosing the flooring that’s just right for you. And Victor Carpet Court also supply and install blinds. 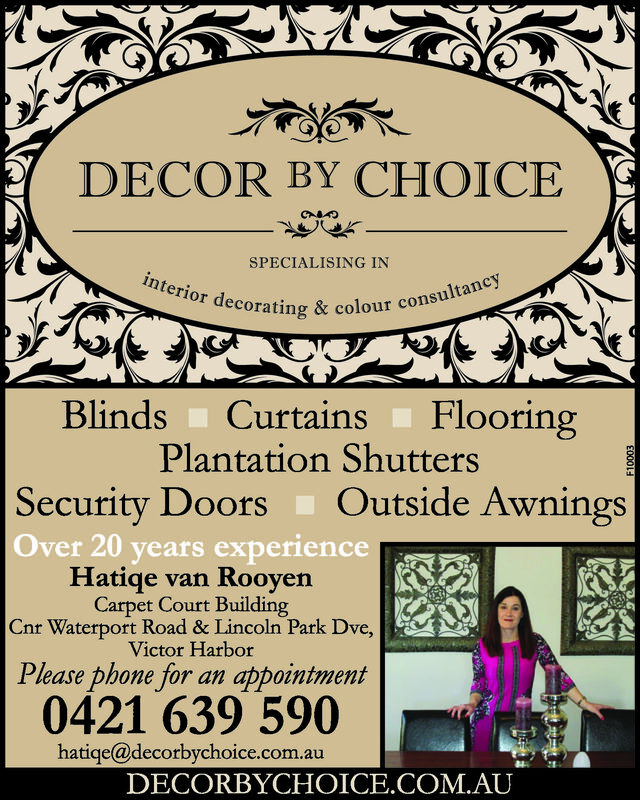 Now located in our new showroom on the corner of Lincoln Park Drive & Waterport Road Victor Harbor. Centrally located on South Australia’s Fleurieu Peninsula / South Coast region. With over 20 years experience, 15 years right here in the Fleurieu Peninsula, you can be assured of dealing with someone with intimate product knowledge, who keeps up to date with the latest trends and products.